If you are looking for swing dancers for private or corporate events, weddings, galas, festivals, plays, concerts, nightclub appearances, pop videos, TV, or if you’re looking for professional private lessons or hen parties, please contact Taina or Matt or post a request in our Facebook Community*. Manchester Lindy does not offer such services. 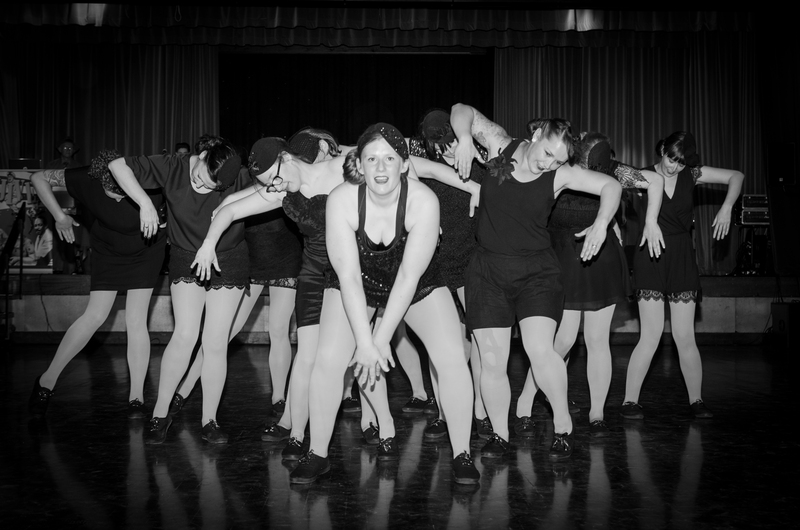 Manchester Lindy is proud to have inspired and nurtured the all-gal Jazz troupe, The Hotsy Totsys! They are now in the safe hands of Taina K. You can find out more about the 1930s style chorus line here. Manchester Lindy regulars can occasionally be tempted out to teach taster classes or social dance at community events. We’ve danced at the Northern Quarter Royal Wedding Street Party, SpinFest, Longford Park Centenary, and the Imperial War Museum North’s 70th Anniversary VE Day celebrations. If you are organising such an event, again, please post a request in our Facebook Group*. *Manchester Lindy accepts no responsibility for the outcome of such arrangements, which should be considered direct engagements with the individuals concerned.